Entryways, corridors and all public areas are best heated with the LPWA Series. The heavy duty grill and frame can withstand heavy traffic and abuse. Tamper-resistant screws prevent unauthorized disassembly of the grill. Controls are recessed out-of-reach of fiddling fingers. 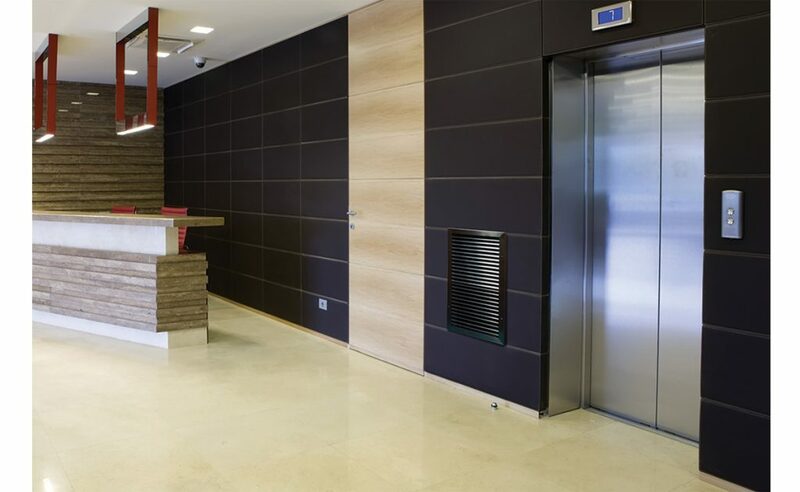 High wattage and airflow capacities replenish entryways and hallways to prevent drafts from entering the building’s core. 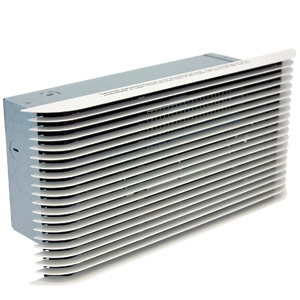 Heavy-traffic entryways, corridors and all public areas are best heated with the LPWA Series. The heavy duty grill and frame can withstand heavy traffic and abuse. You know what it feels like when you walk into a well-designed building. Combine colors, materials, lighting, and now even designer heating fixtures to achieve the ambiance that fits your building. 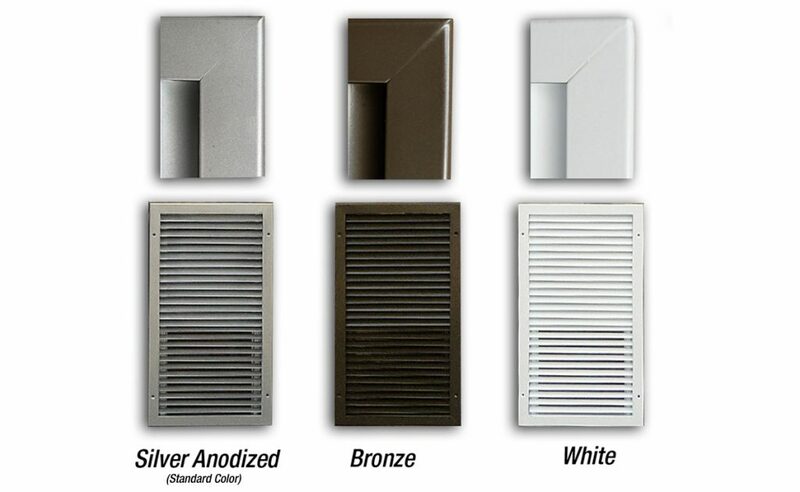 Choose from one of our dynamic designer colors, inspired by the architecture around us. Grill: Heavy duty extruded 12 gauge aluminum provides high impact resistance to damage. Grill is attached with tamper-proof screws (hex socket/pinned). All controls are easily accessed through grill with slotted screwdriver. Standard color is anodized silver. Dark bronze or white is available. Elements: Element assemblies shall consist of steel sheathed heating tubes in a furnace-brazed, plate finned, block design. Each sheathed tube shall contain a coiled Ni-Chrome wire embedded in an insulator of Magnesium Oxide. The element assembly shall provide the specific wattage as indicated. Optional Built-in Thermostat: Single Pole factory installed hydraulic capillary tube with precision control. Operating range 40 ̊F to 90 ̊F. Thermostat is tamper-proof to prevent unauthorized adjustment. 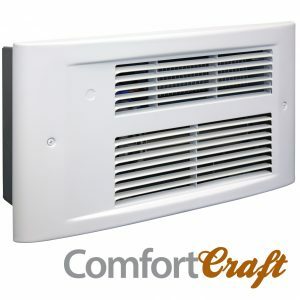 Fan / Heat / Off Switch: Tamper-proof 3-position switch provides heating and summer fan-only operation. The DPST off switch provides a “positive off” that disconnects all ungrounded conductors. Controls are easily accessed through grill with slotted screwdriver. 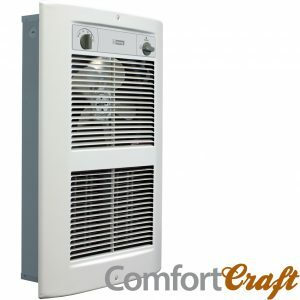 Fan Delay Switch: The fan continues to operate after the thermostat shuts off in order to remove the residual heat left in the elements. Unit Bearing Motor: Permanently lubricated cast iron motor with enclosed rotor provides long-lasting, trouble-free operation and a 20cc oil reservoir. Thermally protected. 1300 RPM. Wall box: 20 gauge electro-galvanized steel. Factory installed ground-wire. Minimum 4” clearance to floors and 6”to sidewalls. Zero clearance to combustibles in the wall. Recommended 10” clearance to floors and 16” to sidewalls.